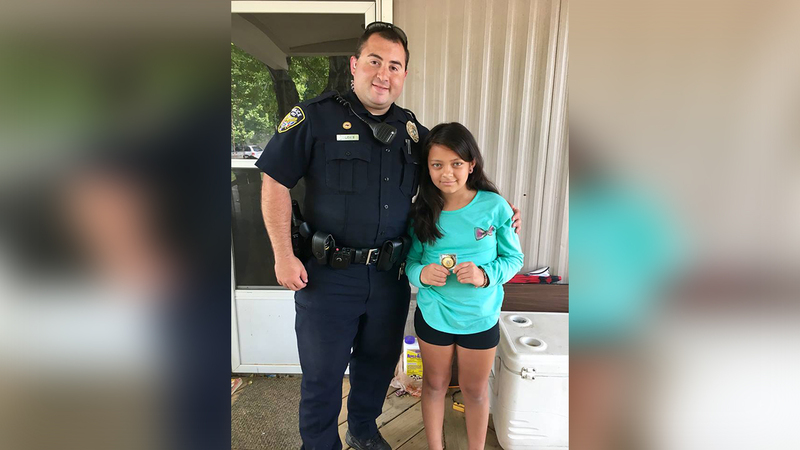 APEX, North Carolina (WTVD) -- An Apex girl was honored by police on Saturday after she helped save her cousin's life. Around 3 p.m. Apex police were called to the 100 block of Reunion Park Drive after reports of a possible drowning. When officers arrived, they found Noe Molina was being treated by EMS after being rescued from a community pool. Authorities said Noe was swimming with his family when his cousin, Zully Fernandez, noticed he was on the bottom of the pool and hadn't come up for air. Zully didn't think twice before she sprung into action. She quickly grabbed Noe and started to pull him out. Carlos Rodriguez jumped in to help Zully and within seconds Noe was out of the water. Once he was on land, Melissa Rodriguez performed CPR on Noe, who was unconscious, not breathing, and not alert. Melissa was able to revive Noe prior to EMS and police arriving. After the incident, Noe was taken to the hospital as a precaution where he was visited by two officers. After officers spoke with EMS and WakeMed Raleigh Medical Staff, they said it became evident that Zully and Melissa's swift and courageous actions saved Noe's life. "Without the assistance of Melissa, Carlos, and Zully this incident would have resulted in a tragic ending for Noe and his family," Apex police said in a Facebook post. Officer J. Guider and Sgt. M. Kutcher presented Zully, Melissa, and Carlos with Chief's Coins for their life-saving efforts.